The Best of Teacher Entrepreneurs II: Language Arts Lesson - Dr. Martin Luther King, Jr. - "What's Your Life's Blueprint?" 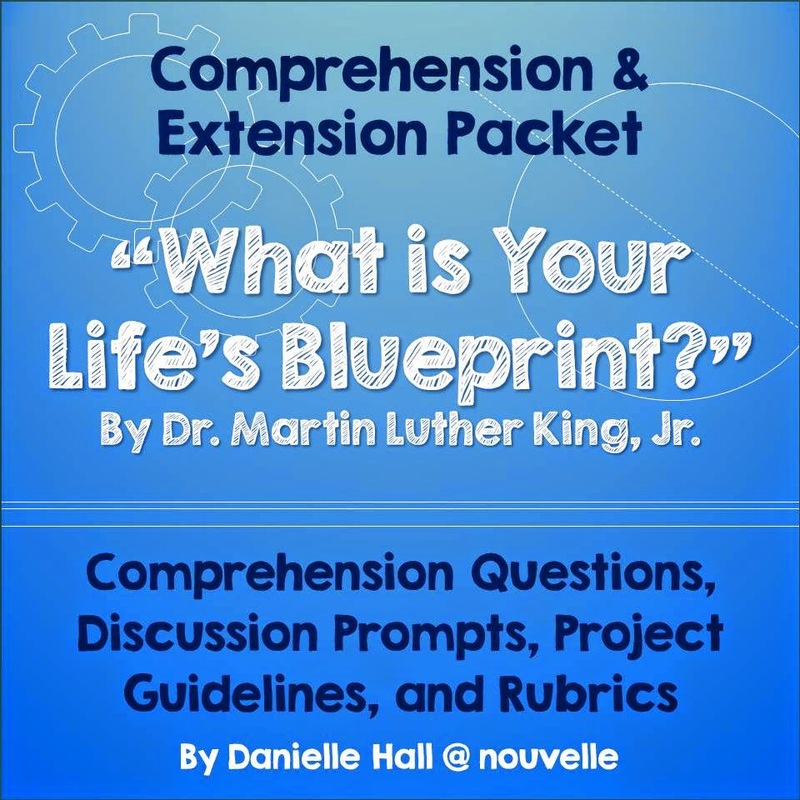 Language Arts Lesson - Dr. Martin Luther King, Jr. - "What's Your Life's Blueprint?" If you can't be a highway, just be a trail. If you can't be a sun, be a star. For it isn't by size that you win or fail. Are you still looking for an MLK lesson? Do you want to move beyond "I Have a Dream"? Here's a fresh idea for you. This packet contains all of the necessary materials for an introspective study of Martin Luther King, Jr.’s famous “Street Sweeper” speech, “What is Your Life’s Blueprint?” This inspirational speech was delivered at Barratt Junior High School in Philadelphia on October 26, 1967, six months before King was assassinated. In it, King calls students to think about what they want from their lives, and how they can be their very best selves. --> set your own weights! I know your students will love this speech as much as mine do!